With a well earned reputation of delivering excellent reliablilty, quality of workmanship and extremely competitive rates, MBM provide a full range of plumbing & heating services in the Derby and East Midlands area and being Gas Safe registered, you can rest assured you are safe in our hands. 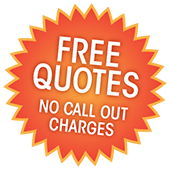 Whether you have a burst pipe or a minor repair to a full central heating system or bathroom install, call us for a free quotation on 01332 736 508. There are no call out charges and with a fixed price guide we leave the worry out of incurring huge expenses.